With all of this talk of a political revolution in the United States, my mind has naturally been craving all merit of art, literature, and music inspired by or in service of cultural and political change. One of my favorite examples of music inspired by the throes of passion associated with getting free is Amon Düül’s masterpiece “Psychedelic Underground.” There is an atmosphere present on this record that you can’t find anywhere else - it is absolutely pure and bottled mayhem! Junked out fast rock, slow and echoed metal clanging, bizarre moaning - this joint has it all. In the running for one of the all time greatest and if you’ve never heard it, you’re in for a treat. 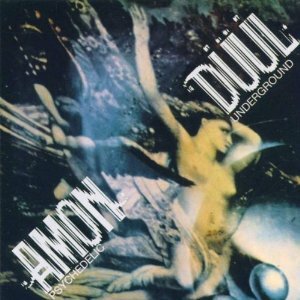 Some folks who left the commune (both literally and metaphorically) went on to start the mighty Amon Düül II, which is a deep ride and a story for another tip.